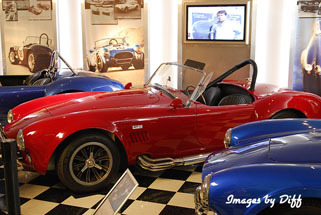 click photo to enlarge We had been to the Shelby Museum about 10 years ago and at that time they only had maybe half dozen cars. The museum was pretty new at that time. This time they had a rather large collection including some of the very first aluminum Shelby Cobra's. They even had a few of the Chrysler products Carroll Shelby had modified for Lee Iacocca. 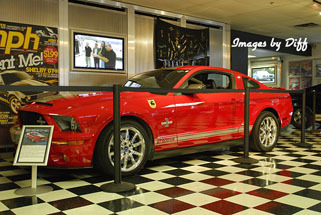 They do tours once a day at 10:30 and it includes the area where they customize the Mustangs. After Carroll retired from driving for health reasons in 1959 he started the Shelby American company. At first they taught did high performance driving. click photo to enlarge He obtained a license to import an aluminum bodied car from AC Motors in England. 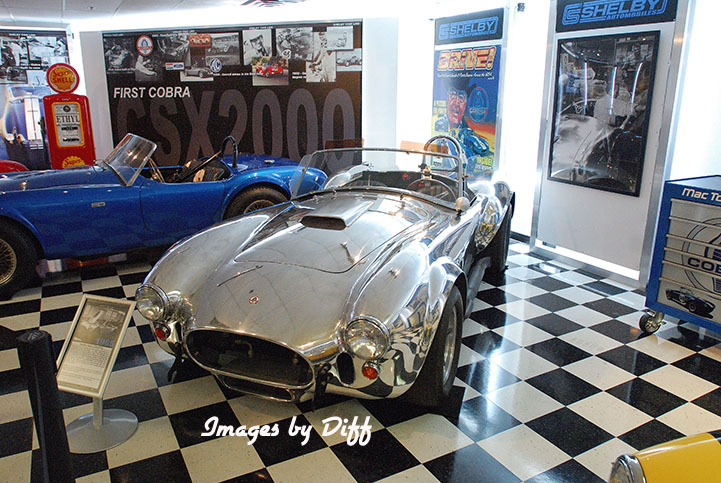 He put a Ford V8 engine in this vehicle and the AC Cobra was born. In the 1960's with Ford they came out with the Mustang Based Shelby 350 and Shelby GT500. In the 60s some were purchased by Hertz for there rental car fleet. People were known to rent them, take them to the dragstips and win races, then take the cars back. There also were cases of people renting them, removing the high performance engines and putting standard engines back in before returning the cars to Hertz. 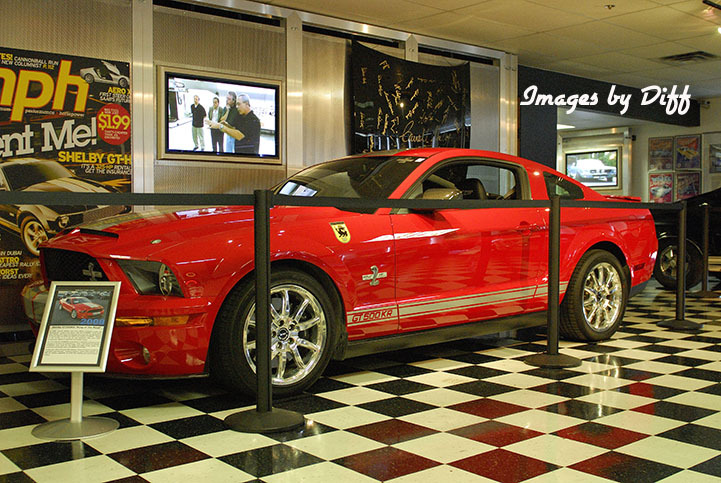 click photo to enlarge Today at Shelby American in Las Vegas they customize Ford Mustangs. They do not own any cars. They take cars customers bring to them or have shipped to them. They then do performance and body modifications to the vehicles. The vehicles in the parking lot are new cars.